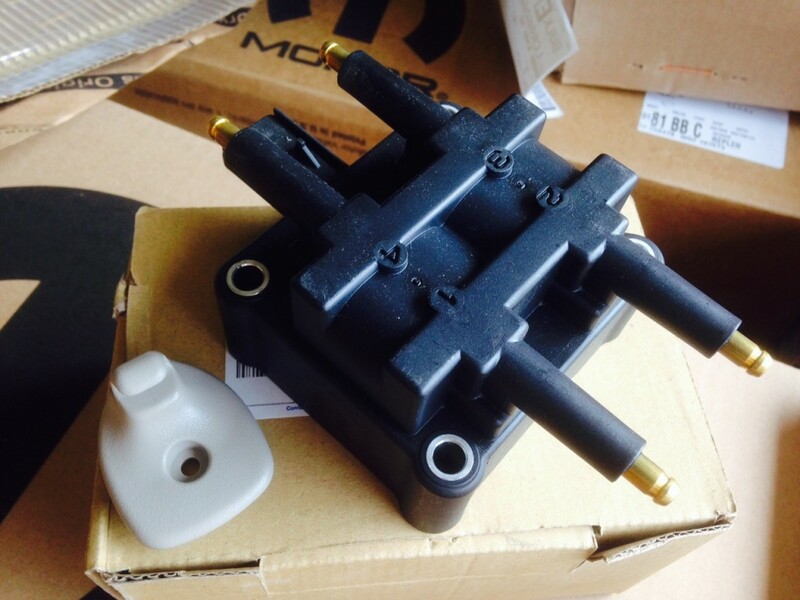 You are here: Home › MP Blog › 00-05 Dodge Neon/SRt4 OEM visor clips and Ignition coil packs now in stock at MP! 00-05 Dodge Neon/SRt4 OEM visor clips and Ignition coil packs now in stock at MP! We’re stocking two parts from Mopar that are wear and tear parts for the 00-05 Dodge/Plymouth Neon and SRT4. The visor clips have a tendency to break and then not hold the visor in place.. The coil packs go bad over time and need to be replaced.. These will be up on our site shortly! Version 2 Halo Projector lights in stock for 2003-2005 Dodge SRT4/Neon. Mishimoto Silicone Red/Blue/Black radiator hoses in stock for 03-05 Dodge Neon SRT4.